Some babies don't sleep. They just don't. You will read about all these miracle cures to getting a good nights sleep, but at the end of the day, if your baby isn't ready to sleep through, nothing will help him. Not even selling your soul to the devil himself. To be honest, most babies won't sleep through when teeny tiny (unless you are one of those lucky parents... I don't like you and all that sleep you're getting!) but I think that a lot of people read these parenting books and magazines which give tips and 'sure fire ways' and assume they'll be back to getting a restful night in no time. And being really honest right now, some babies just aren't capable of it. Sleeping through the night that is. And it's nothing to do with your parenting skills, you don't have a faulty baby that needs returning to the stork, it's just the way things are sometimes. Some babies just aren't ready to have a full uninterrupted night. You can try ways to help but these may just leave you feeling deflated if they don't work. Okay, you may be the lucky one that catches a break with one of the strategies, but most don't work as like I said above, your baby isn't ready and nothing will help them get those zzz's. 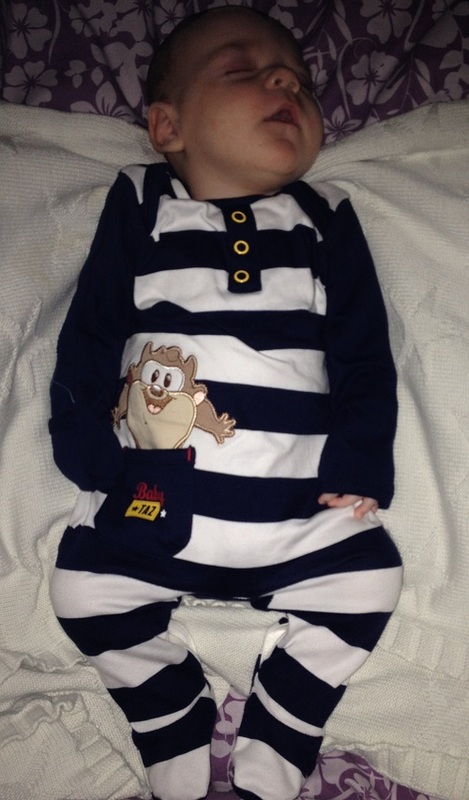 I recently read an article about trying to get babies to sleep through and it made me angry (which is the main reason that I wrote this post). Apparently, some expert was saying that all babies are capable of sleeping through the night from the age of 3 months. I don't agree at all. I totally and utterly disagree with that and here's why. A baby is not a robot that follows along a pathway set out by some doctor and they'll all play along and sleep at night and do every milestone at exactly the same time as other babies. They grow differently, they learn differently and, as I said above, some babies just cannot sleep through the night. And have you had a baby with colic? Trying to get a colicy baby to sleep at all is hard work let alone getting them to sleep all night. The article I read goes on to say that it's not a case of letting your baby cry it out and ignoring them but actually it was. As I read more it became apparent that this was exactly what was happening. Now tell me, if your baby cried at 3 month old. Could you ignore him? I sure couldn't. And I wouldn't either. So in summary, if your baby doesn't sleep through the night, don't feel like a failure because some post or book tells you that your baby should be. Just remember that no amount of controlled crying or cutting down the amount of milk you give during the night, if your baby wants to wake he will do regardless. 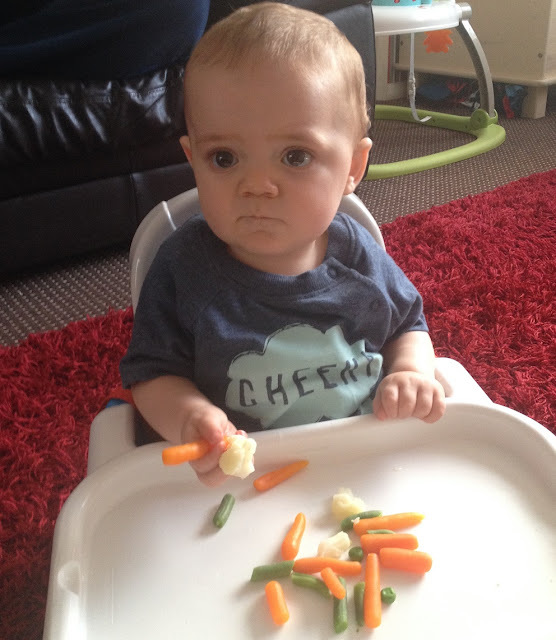 When it comes to weaning you baby, there are so many things to factor in. 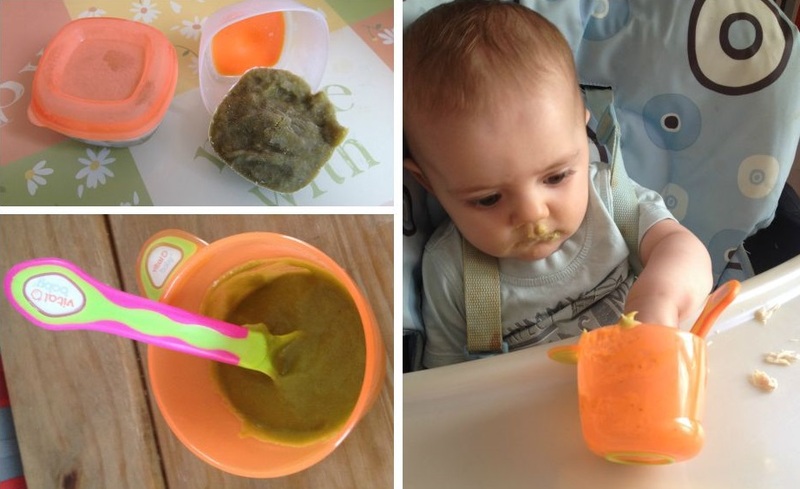 Will you use spoon-led weaning, baby-led weaning or a mix of both? Will you buy jars or pouches or will you make your own? We decided to do a mix of everything and so far it seems to be working very well. Joseph will have one meal a day whereby he feeds himself, this is usually vegetables, cheese and baby crackers, and then his other main meal (not including breakfast as that's porridge or Weetabix of some sort) is usually what ever we are having, just puréed up in the blender. Using pouches only when we're having something that he cannot eat. That face you pull when you realise that dinner is just vegetables! So, when it comes to making our own baby food, this becomes another mine field to contend with. What they'e allowed at certain ages, how much of it, what's bad for them, salt intake and so on and so forth. For me, I prefer to limit the amount of meat Joseph intakes. I find meat to be a harsh on little tummies and so Joseph will only have it a couple of days a week, other than that, it's veggie dishes delight and I've had to master making these fun and tasty without compromising goodness. Note: You don't actually have to oven bake, it can be made without that step but I like to do this for an extra punch of flavour. As you can see, Joseph loves this recipe and so do I because it is healthy and and super tasty too. Not only that but I can make this base and then add any other flavour I like to give him a bit of a change. Sometimes adding other vegetables, parsnip for a nice sweet flavour or peas and peppers like above with Joseph much prefers. 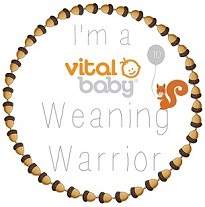 As I'm part of the Vital Baby Weaning Warriors team, over the coming weeks, I'll be sharing more recipes for the baby food I make and showing how you can make delicious meals at home for your little darlings. 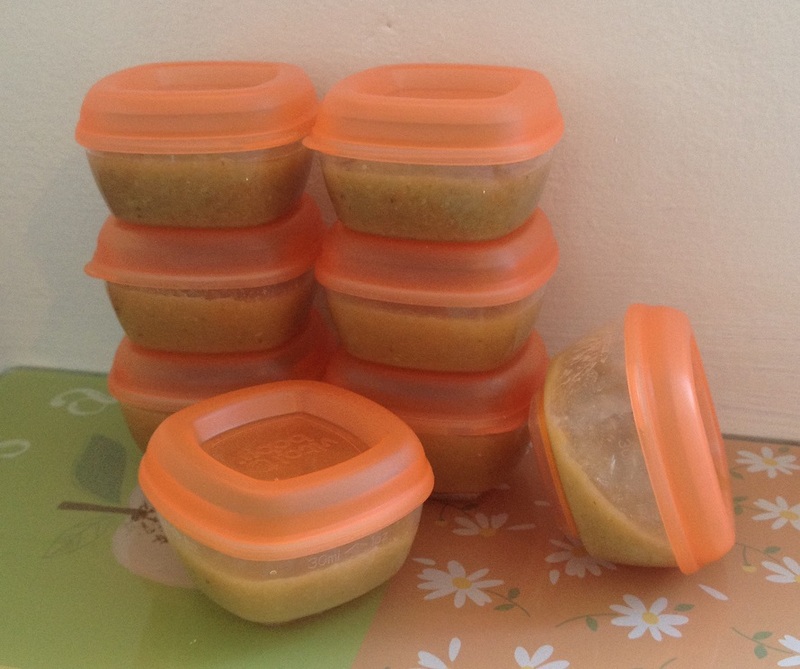 Do you make your own baby food? I'd love to see some more suggestions that I can try out.